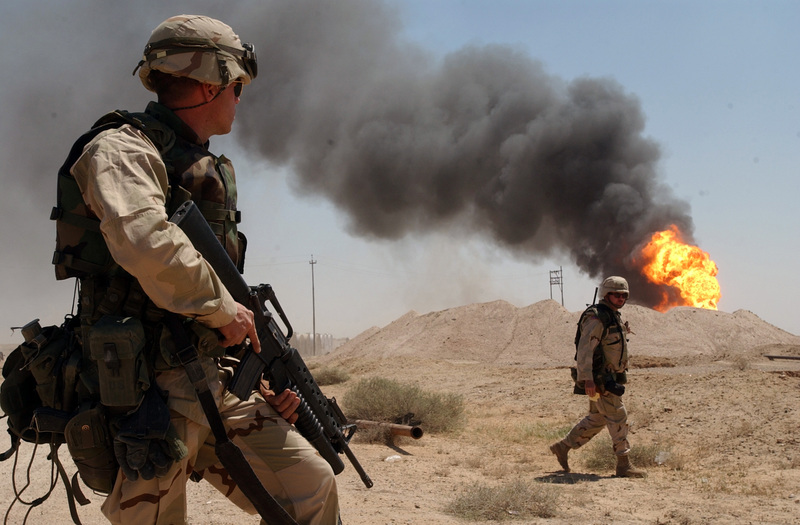 How Many Millions Have Been Killed in America’s Post-9/11 Wars? Part 3: Libya, Syria, Somalia and Yemen - World Beyond War . . . In the third and final part of his series, Nicolas JS Davies investigates the death toll of U.S. covert and proxy wars in Libya, Syria, Somalia and Yemen and underscores the importance of comprehensive war mortality studies. By Nicolas J S Davies, April 25, 2108, Consortium News. In the first two parts of this report, I have estimated that about 2.4 million people have been killed as a result of the U.S. invasion of Iraq, while about 1.2 million have been killed in Afghanistan and Pakistan as a result of the U.S.-led war in Afghanistan. In the third and final part of this report, I will estimate how many people have been killed as a result of U.S. military and CIA interventions in Libya, Syria, Somalia and Yemen. Of the countries that the U.S. has attacked and destabilized since 2001, only Iraq has been the subject of comprehensive “active” mortality studies that can reveal otherwise unreported deaths. An “active” mortality study is one that “actively” surveys households to find deaths that have not previously been reported by news reports or other published sources. These studies are often carried out by people who work in the field of public health, like Les Roberts at Columbia University, Gilbert Burnham at Johns Hopkins and Riyadh Lafta at Mustansiriya University in Baghdad, who co-authored the 2006 Lancet study of Iraq war mortality. In defending their studies in Iraq and their results, they emphasized that their Iraqi survey teams were independent of the occupation government and that that was an important factor in the objectivity of their studies and the willingness of people in Iraq to talk honestly with them. Comprehensive mortality studies in other war-torn countries (like Angola, Bosnia, the Democratic Republic of Congo, Guatemala, Iraq, Kosovo, Rwanda, Sudan and Uganda) have revealed total numbers of deaths that are 5 to 20 times those previously revealed by “passive” reporting based on news reports, hospital records and/or human rights investigations. In the absence of such comprehensive studies in Afghanistan, Pakistan, Libya, Syria, Somalia and Yemen, I have evaluated passive reports of war deaths and tried to assess what proportion of actual deaths these passive reports are likely to have counted by the methods they have used, based on ratios of actual deaths to passively reported deaths found in other war-zones. I have only estimated violent deaths. None of my estimates include deaths from the indirect effects of these wars, such as the destruction of hospitals and health systems, the spread of otherwise preventable diseases and the effects of malnutrition and environmental pollution, which have also been substantial in all these countries. For Iraq, my final estimate of about 2.4 million people killed was based on accepting the estimates of the 2006 Lancet study and the 2007 Opinion Research Business (ORB) survey, which were consistent with each other, and then applying the same ratio of actual deaths to passively reported deaths (11.5:1) as between the Lancet study and Iraq Body Count (IBC) in 2006 to IBC’s count for the years since 2007. 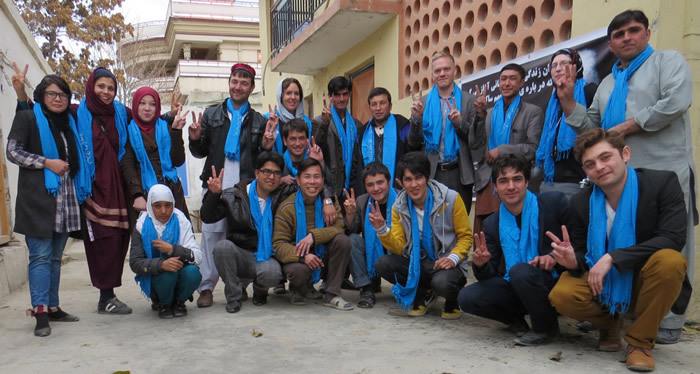 For Afghanistan, I estimated that about 875,000 Afghans have been killed. I explained that the annual reports on civilian casualties by the UN Assistance Mission to Afghanistan (UNAMA) are based only on investigations completed by the Afghanistan Independent Human Rights Commission (AIHRC), and that they knowingly exclude large numbers of reports of civilian deaths that the AIHRC has not yet investigated or for which it has not completed its investigations. UNAMA’s reports also lack any reporting at all from many areas of the country where the Taliban and other Afghan resistance forces are active, and where many or most U.S. air strikes and night raids therefore take place. I concluded that UNAMA’s reporting of civilian deaths in Afghanistan appears to be as inadequate as the extreme under-reporting found at the end of the Guatemalan Civil War, when the UN-sponsored Historical Verification Commission revealed 20 times more deaths than previously reported. For Pakistan, I estimated that about 325,000 people had been killed. That was based on published estimates of combatant deaths, and on applying an average of the ratios found in previous wars (12.5:1) to the number of civilian deaths reported by the South Asia Terrorism Portal (SATP) in India. In the third and final part of this report, I will estimate the death toll caused by U.S. covert and proxy wars in Libya, Syria, Somalia and Yemen. Senior U.S. military officers have hailed the U.S. doctrine of covert and proxy war that found its full flowering under the Obama administration as a “disguised, quiet, media-free” approach to war, and have traced the development of this doctrine back to U.S. wars in Central America in the 1980s. While the U.S. recruitment, training, command and control of death squads in Iraq was dubbed “the Salvador Option,” U.S. strategy in Libya, Syria, Somalia and Yemen has in fact followed this model even more closely. These wars have been catastrophic for the people of all these countries, but the U.S.’s “disguised, quiet, media-free” approach to them has been so successful in propaganda terms that most Americans know very little about the U.S. role in the intractable violence and chaos that has engulfed them. The very public nature of the illegal but largely symbolic missile strikes on Syria on April 14, 2018 stands in sharp contrast to the “disguised, quiet, media-free” U.S.-led bombing campaign that has destroyed Raqqa, Mosul and several other Syrian and Iraqi cities with more than 100,000 bombs and missiles since 2014. For more detailed background on the critical role the U.S. has played in each of these wars, please read my article, “Giving War Too Many Chances,” published in January 2018. The only legal justification for NATO and its Arab monarchist allies to have dropped at least 7,700 bombs and missiles on Libya and invaded it with special operations forces beginning in February 2011 was UN Security Council resolution 1973, which authorized “all necessary measures” for the narrowly defined purpose of protecting civilians in Libya. But the war instead killed far more civilians than any estimate of the number killed in the initial rebellion in February and March 2011, which ranged from 1,000 (a UN estimate) to 6,000 (according to the Libyan Human Rights League). 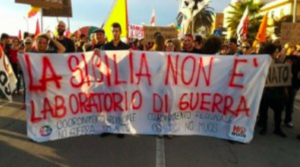 So the war clearly failed in its stated, authorized purpose, to protect civilians, even as it succeeded in a different and unauthorized one: the illegal overthrow of the Libyan government. SC resolution 1973 expressly prohibited “a foreign occupation force of any form on any part of Libyan territory.” But NATO and its allies launched a covert invasion of Libya by thousands of Qatari and Western special operations forces, who planned the rebels’ advance across the country, called in air strikes against government forces and led the final assault on the Bab al-Aziziya military headquarters in Tripoli. Once the Libyan government was overthrown, journalists tried to inquire about the sensitive subject of civilian deaths, which was so critical to the legal and political justifications for the war. But the National Transitional Council (NTC), the unstable new government formed by Western-backed exiles and rebels, stopped issuing public casualty estimates and ordered hospital staff not to release information to reporters. In any case, as in Iraq and Afghanistan, morgues were overflowing during the war and many people buried their loved ones in their backyards or wherever they could, without taking them to hospitals. 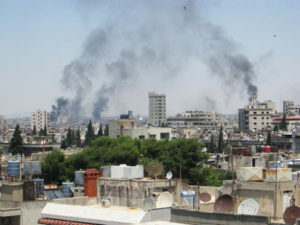 A rebel leader estimated in August 2011 that 50,000 Libyans had been killed. Then, on September 8th 2011, Naji Barakat, the NTC’s new health minister, issued a statement that 30,000 people had been killed and another 4,000 were missing, based on a survey of hospitals, local officials and rebel commanders in the majority of the country that the NTC by then controlled. He said it would take several more weeks to complete the survey, so he expected the final figure to be higher. Barakat’s statement did not include separate counts of combatant and civilian deaths. But he said that about half of the 30,000 reported dead were troops loyal to the government, including 9,000 members of the Khamis Brigade, led by Gaddafi’s son Khamis. Barakat asked the public to report deaths in their families and details of missing persons when they came to mosques for prayers that Friday. The NTC’s estimate of 30,000 people killed appeared to consist mainly of combatants on both sides. 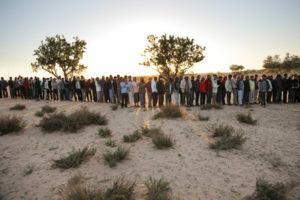 transit camp near the Tunisia-Libya border. March 5, 2016. The most comprehensive survey of war deaths since the end of the 2011 war in Libya was an “epidemiological community-based study” titled “Libyan Armed Conflict 2011: Mortality, Injury and Population Displacement.” It was authored by three medical professors from Tripoli, and published in the African Journal of Emergency Medicine in 2015. The authors took records of war deaths, injuries and displacement collected by the Ministry of Housing and Planning, and sent teams to conduct face-to-face interviews with a member of each family to verify how many members of their household were killed, wounded or displaced. They did not try to separate the killing of civilians from the deaths of combatants. Nor did they try to statistically estimate previously unreported deaths through the “cluster sample survey” method of the Lancet study in Iraq. But the Libyan Armed Conflict study is the most complete record of confirmed deaths in the war in Libya up to February 2012, and it confirmed the deaths of at least 21,490 people. 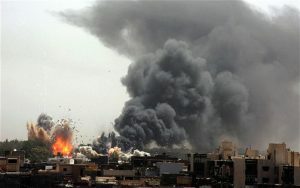 The U.K.-based Armed Conflict Location and Event Data (ACLED) project has also kept a count of violent deaths in Libya. ACLED counted 4,062 deaths in 2014-6, compared with 5,871 counted by Libya Body Count. For the remaining periods between March 2012 and March 2018 that LBC did not cover, ACLED has counted 1,874 deaths. If LBC had covered the whole period since March 2012, and found the same proportionally higher number than ACLED as it did for 2014-6, it would have counted 8,580 people killed. Combining the figures from the Libyan Armed Conflict 2011 study and our combined, projected figure from Libya Body Count and ACLED gives a total of 30,070 passively reported deaths since February 2011. The Libyan Armed Conflict (LAC) study was based on official records in a country that had not had a stable, unified government for about 4 years, while Libya Body Count was a fledgling effort to emulate Iraq Body Count that tried to cast a wider net by not relying only on English-language news sources. In Iraq, the ratio between the 2006 Lancet study and Iraq Body Count was higher because IBC was only counting civilians, while the Lancet study counted Iraqi combatants as well as civilians. Unlike Iraq Body Count, both our main passive sources in Libya counted both civilians and combatants. Based on the one-line descriptions of each incident in the Libya Body Count database, LBC’s total appears to include roughly half combatants and half civilians. Military casualties are generally counted more accurately than civilian ones, and military forces have an interest in accurately assessing enemy casualties as well as identifying their own. 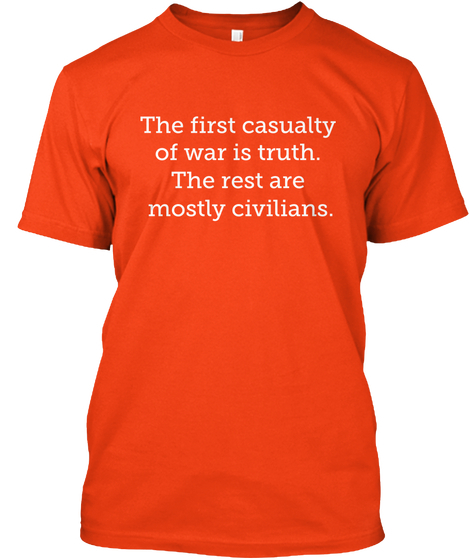 The opposite is true of civilian casualties, which are nearly always evidence of war crimes that the forces who killed them have a strong interest in suppressing. So, in Afghanistan and Pakistan, I treated combatants and civilians separately, applying typical ratios between passive reporting and mortality studies only to civilians, while accepting reported combatant deaths as they were passively reported. But the forces fighting in Libya are not a national army with the strict chain of command and organizational structure that results in accurate reporting of military casualties in other countries and conflicts, so both civilian and combatant deaths appear to be significantly under-reported by my two main sources, the Libya Armed Conflict study and Libya Body Count. In fact, the National Transitional Council’s (NTC) estimates from August and September 2011 of 30,000 deaths were already much higher than the numbers of war deaths in the LAC study. When the 2006 Lancet study of mortality in Iraq was published, it revealed 14 times the number of deaths counted in Iraq Body Count’s list of civilian deaths. But IBC later discovered more deaths from that period, reducing the ratio between the Lancet study’s estimate and IBC’s revised count to 11.5:1. The combined totals from the Libya Armed Conflict 2011 study and Libya Body Count appear to be a larger proportion of total violent deaths than Iraq Body Count has counted in Iraq, mainly because LAC and LBC both counted combatants as well as civilians, and because Libya Body Count included deaths reported in Arabic news sources, while IBC relies almost entirely on English language news sources and generally requires “a minimum of two independent data sources” before recording each death. In other conflicts, passive reporting has never succeeded in counting more than a fifth of the deaths found by comprehensive, “active” epidemiological studies. Taking all these factors into account, the true number of people killed in Libya appears to be somewhere between five and twelve times the numbers counted by the Libya Armed Conflict 2011 study, Libya Body Count and ACLED. So I estimate that about 250,000 Libyans have been killed in the war, violence and chaos that the U.S. and its allies unleashed in Libya in February 2011, and which continues to the present day. Taking 5:1 and 12:1 ratios to passively counted deaths as outer limits, the minimum number of people that have been killed would be 150,000 and the maximum would be 360,000. The “disguised, quiet, media-free” U.S. role in Syria began in late 2011 with a CIA operation to funnel foreign fighters and weapons through Turkey and Jordan into Syria, working with Qatar and Saudi Arabia to militarize unrest that began with peaceful Arab Spring protests against Syria’s Baathist government. shelled in the city of Homs, Syria. June 9, 2012. 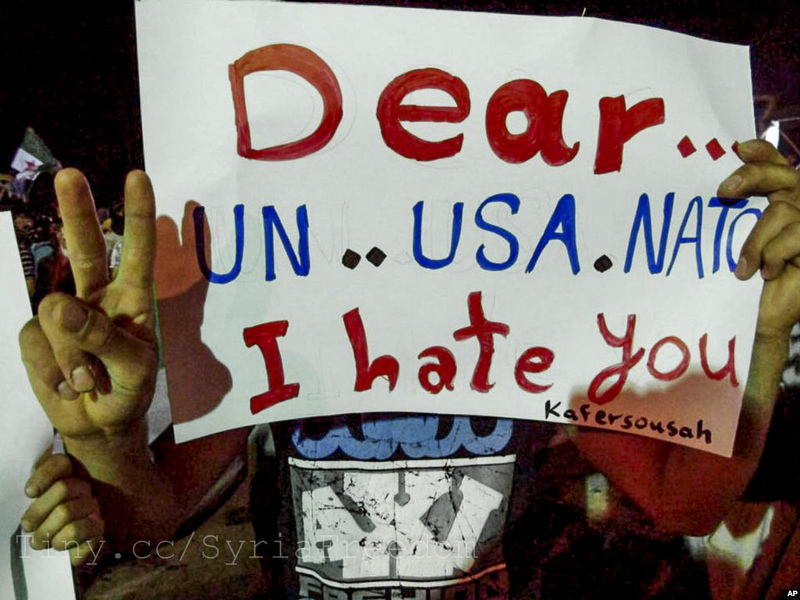 The mostly leftist and democratic Syrian political groups coordinating non-violent protests in Syria in 2011 strongly opposed these foreign efforts to unleash a civil war, and issued strong statements opposing violence, sectarianism and foreign intervention. But even as a December 2011 Qatari-sponsored opinion poll found that 55% of Syrians supported their government, the U.S. and its allies were committed to adapting their Libyan regime change model to Syria, knowing full well from the outset that this war would be much bloodier and more destructive. The CIA and its Arab monarchist partners eventually funneled thousands of tons of weapons and thousands of foreign Al-Qaeda-linked jihadis into Syria. The weapons came first from Libya, then from Croatia and the Balkans. They included howitzers, missile launchers and other heavy weapons, sniper rifles, rocket propelled grenades, mortars and small arms, and the U.S. eventually directly supplied powerful anti-tank missiles. Meanwhile, instead of cooperating with Kofi Annan’s UN-backed efforts to bring peace to Syria in 2012, the U.S. and its allies held three “Friends of Syria” conferences, where they pursued their own “Plan B,” pledging ever-growing support to the increasingly Al-Qaeda-dominated rebels. Kofi Annan quit his thankless role in disgust after Secretary of State Clinton and her British, French and Saudi allies cynically undermined his peace plan. Every public estimate of the numbers of people killed in Syria that I have found comes directly or indirectly from the Syrian Observatory for Human Rights (SOHR), run by Rami Abdulrahman in Coventry in the U.K. He is a former political prisoner from Syria, and he works with four assistants in Syria who in turn draw on a network of about 230 anti-government activists across the country. His work receives some funding from the European Union, and also reportedly some from the U.K. government. Wikipedia cites the Syrian Centre for Policy Research as a separate source with a higher fatality estimate, but this is in fact a projection from SOHR’s figures. Lower estimates by the UN appear to also be based mainly on SOHR’s reports. SOHR has been criticized for its unabashedly opposition viewpoint, leading some to question the objectivity of its data. It appears to have seriously undercounted civilians killed by U.S. air strikes, but this could also be due to the difficulty and danger of reporting from IS-held territory, as has also been the case in Iraq. SOHR acknowledges that its count cannot be a total estimate of all the people killed in Syria. In its most recent report in March 2018, it added 100,000 to its tally to compensate for under-reporting, another 45,000 to account for prisoners killed or disappeared in government custody and 12,000 for people killed, disappeared or missing in Islamic State or other rebel custody. Leaving aside these adjustments, SOHR’s March 2018 report documents the deaths of 353,935 combatants and civilians in Syria. That total is comprised of 106,390 civilians; 63,820 Syrian troops; 58,130 members of pro-government militias (including 1,630 from Hezbollah and 7,686 other foreigners); 63,360 Islamic State, Jabhat Fateh al-Sham (formerly Jabhat al-Nusra) and other Islamist jihadis; 62,039 other anti-government combatants; and 196 unidentified bodies. Breaking this down simply into civilians and combatants, that is 106,488 civilians and 247,447 combatants killed (with the 196 unidentified bodies divided equally), including 63,820 Syrian Army troops. The SOHR’s count is not a comprehensive statistical survey like the 2006 Lancet study in Iraq. But regardless of its pro-rebel viewpoint, the SOHR appears to be one of the most comprehensive efforts to “passively” count the dead in any recent war. Like military institutions in other countries, the Syrian Army probably keeps fairly accurate casualty figures for its own troops. Excluding actual military casualties, it would be unprecedented for SOHR to have counted more than 20% of other people killed in Syria’s Civil War. But SOHR’s reporting may well be as thorough as any previous efforts to count the dead by “passive” methods. Taking the SOHR’s passively reported figures for non-military war deaths as 20% of the real total killed would mean that 1.45 million civilians and non-military combatants have been killed. After adding the 64,000 Syrian troops killed to that number, I estimate that about 1.5 million people have been killed in Syria. If SOHR has been more successful than any previous “passive” effort to count the dead in a war, and has counted 25% or 30% of the people killed, the real number killed could be as low as 1 million. If it has not been as successful as it seems, and its count is closer to what has been typical in other conflicts, then as many as 2 million people may well have been killed. Most Americans remember the U.S. intervention in Somalia that led to the “Black Hawk Down” incident and the withdrawal of U.S. troops in 1993. But most Americans do not remember, or may never have known, that the U.S. made another “disguised, quiet, media-free” intervention in Somalia in 2006, in support of an Ethiopian military invasion. Somalia was finally “pulling itself up by its bootstraps” under the governance of the Islamic Courts Union (ICU), a union of local traditional courts who agreed to work together to govern the country. The ICU allied with a warlord in Mogadishu and defeated the other warlords who had ruled private fiefdoms since the collapse of the central government in 1991. People who knew the country well hailed the ICU as a hopeful development for peace and stability in Somalia. But in the context of its “war on terror,” the U.S. government identified the Islamic Courts Union as an enemy and a target for military action. The U.S. allied with Ethiopia, Somalia’s traditional regional rival (and a majority Christian country), and conducted air strikes and special forces operations to support an Ethiopian invasion of Somalia to remove the ICU from power. As in every other country the U.S. and its proxies have invaded since 2001, the effect was to plunge Somalia back into violence and chaos that continues to this day. Passive sources put the violent death toll in Somalia since the U.S.-backed Ethiopian invasion in 2006 at 20,171 (Uppsala Conflict Data Program (UCDP) – through 2016) and 24,631 (Armed Conflict Location and Event Data Project (ACLED)). But an award-winning local NGO, the Elman Peace and Human Rights Centre in Mogadishu, which tracked deaths only for 2007 and 2008, counted 16,210 violent deaths in those two years alone, 4.7 times the number counted by UCDP and 5.8 times ACLED’s tally for those two years. In Libya, Libya Body Count only counted 1.45 times as many deaths as ACLED. In Somalia, Elman Peace counted 5.8 times more than ACLED – the difference between the two was 4 times as great. This suggests that Elman Peace’s counting was about twice as thorough as Libya Body Count’s, while ACLED seems to be about half as effective at counting war deaths in Somalia as in Libya. UCDP logged higher numbers of deaths than ACLED from 2006 until 2012, while ACLED has published higher numbers than UCDP since 2013. The average of their two counts gives a total of 23,916 violent deaths from July 2006 to 2017. If Elman Peace had kept counting war deaths and had continued to find 5.25 ( the average of 4.7 and 5.8) times the numbers found by these international monitoring groups, it would by now have counted about 125,000 violent deaths since the U.S.-backed Ethiopian invasion in July 2006. But while Elman Peace counted many more deaths than UCDP or ACLED, this was still just a “passive” count of war deaths in Somalia. To estimate the total number of war deaths that have resulted from the U.S. decision to destroy Somalia’s fledgling ICU government, we must multiply these figures by a ratio that falls somewhere between those found in other conflicts, between 5:1 and 20:1. Applying a 5:1 ratio to my projection of what the Elman Project might have counted by now yields a total of 625,000 deaths. Applying a 20:1 ratio to the much lower counts by UCDP and ACLED would give a lower figure of 480,000. It is very unlikely that the Elman Project was counting more than 20% of actual deaths all over Somalia. On the other hand, UCDP and ACLED were only counting reports of deaths in Somalia from their bases in Sweden and the U.K., based on published reports, so they may well have counted less than 5% of actual deaths. If the Elman Project was only capturing 15% of total deaths instead of 20%, that would suggest that 830,000 people have been killed since 2006. If UCDP’s and ACLED’s counts have captured more than 5% of total deaths, the real total could be lower than 480,000. But that would imply that the Elman Project was identifying an even higher proportion of actual deaths, which would be unprecedented for such a project. So I estimate that the true number of people killed in Somalia since 2006 must be somewhere between 500,000 and 850,000, with most likely about 650,000 violent deaths. The U.S. is part of a coalition that has been bombing Yemen since 2015 in an effort to restore former President Abdrabbuh Mansur Hadi to power. Hadi was elected in 2012 after Arab Spring protests and armed uprisings forced Yemen’s previous U.S.-backed dictator, Ali Abdullah Saleh, to resign in November 2011. Hadi’s mandate was to draw up a new constitution and organize a new election within two years. He did neither of these things, so the powerful Zaidi Houthi movement invaded the capital in September 2014, placed Hadi under house arrest and demanded that he and his government fulfill their mandate and organize a new election. The Zaidis are a unique Shiite sect who make up 45% of Yemen’s population. Zaidi Imams ruled most of Yemen for over a thousand years. Sunnis and Zaidis have lived together peacefully in Yemen for centuries, intermarriage is common and they pray in the same mosques. The last Zaidi Imam was overthrown in a civil war in the 1960s. In that war, the Saudis supported the Zaidi royalists, while Egypt invaded Yemen to support the republican forces who eventually formed the Yemen Arab Republic in 1970. In 2014, Hadi refused to cooperate with the Houthis, and resigned in January 2015. He fled to Aden, his hometown, and then to Saudi Arabia, which launched a savage U.S.-backed bombing campaign and naval blockade to try to restore him to power. While Saudi Arabia is conducting most of the air strikes, the U.S. has sold most of the planes, bombs, missiles and other weapons it is using. The U.K. is the Saudis’ second largest arms supplier. Without U.S. satellite intelligence and in-air refueling, Saudi Arabia could not conduct airstrikes all over Yemen as it is doing. So a cut-off of U.S. weapons, in-air refueling and diplomatic support could be decisive in ending the war. Published estimates of war deaths in Yemen are based on regular surveys of hospitals there by the World Health Organization, often relayed by the UN Office for the Coordination of Humanitarian Affairs (UNOCHA). The most recent estimate, from December 2017, is that 9,245 people have been killed, including 5,558 civilians. Even when hospitals are fully functioning, many people killed in war do not ever make it to a hospital. 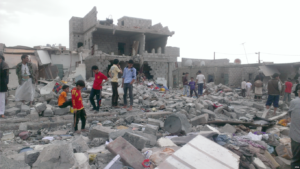 Several hospitals in Yemen have been struck by Saudi air strikes, there is a naval blockade that restricts imports of medicine, and supplies of electricity, water, food and fuel have all been affected by the bombing and the blockade. So the WHO’s summaries of mortality reports from hospitals are likely to be a small fraction of the real numbers of people killed. ACLED reports a slightly lower figure than the WHO: 7,846 through the end of 2017. But unlike the WHO, ACLED has up to date data for 2018, and reports another 2,193 deaths since January. If the WHO continues to report 18% more deaths than ACLED, the WHO’s total up to the present would be 11,833. Even UNOCHA and the WHO acknowledge substantial underreporting of war deaths in Yemen, and the ratio between the WHO’s passive reports and actual deaths appears to be toward the higher end of the range found in other wars, which has varied between 5:1 and 20:1. I estimate that about 175,000 people have been killed – 15 times the numbers reported by the WHO and ACLED – with a minimum of 120,000 and a maximum of 240,000. Altogether, in the three parts of this report, I have estimated that America’s post-9/11 wars have killed about 6 million people. Maybe the true number is only 5 million. Or maybe it is 7 million. But I am quite certain that it is several millions. It is not only hundreds of thousands, as many otherwise well-informed people believe, because compilations of “passive reporting” can never amount to more than a fraction of the actual numbers of people killed in countries living through the kind of violence and chaos that our country’s aggression has unleashed on them since 2001. The systematic reporting of the Syrian Observatory for Human Rights has surely captured a larger fraction of actual deaths than the small number of completed investigations deceptively reported as mortality estimates by the UN Assistance Mission to Afghanistan. But both of them still only represent a fraction of total deaths. And the true number of people killed is most definitely not in the tens of thousands, as most of the general public in the U.S. and in the U.K. have been led to believe, according to opinion polls. We urgently need public health experts to conduct comprehensive mortality studies in all the countries the U.S. has plunged into war since 2001, so that the world can respond appropriately to the true scale of death and destruction these wars have caused. As Barbara Lee presciently warned her colleagues before she cast her lone dissenting vote in 2001, we have “become the evil we deplore.” But these wars have not been accompanied by fearsome military parades (not yet) or speeches about conquering the world. Instead they have been politically justified by “information warfare” to demonize enemies and fabricate crises, and then waged in a “disguised, quiet, media free” way, to hide their cost in human blood from the American public and the world. After 16 years of war, about 6 million violent deaths, 6 countries utterly destroyed and many more destabilized, it is urgent that the American public come to terms with the true human cost of our country’s wars and how we have been manipulated and misled into turning a blind eye to them – before they go on even longer, destroy more countries, further undermine the rule of international law and kill millions more of our fellow human beings. Nicolas J.S. Davies is the author of Blood On Our Hands: the American Invasion and Destruction of Iraq. He also wrote the chapter on “Obama at War” in Grading the 44th President: a Report Card on Barack Obama’s First Term as a Progressive Leader. 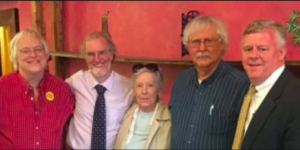 Talk Nation Radio: Greg Grandin on the End of the Myth - World Beyond War . . .
Daedalus, Icarus, and Pandora - World Beyond War . . .
Talk Nation Radio: Foad Izadi on U.S.-Iranian Relations and Peace Activism in Iran - World Beyond War . . .